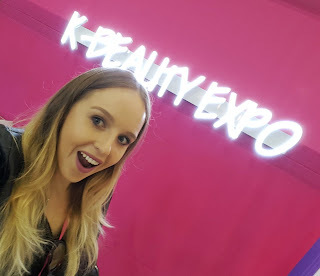 Last week was the K-Beauty expo at Kintex convention center. I’d been raving about it for the months leading up to the event, and it did not disappoint! This could have been one of the best beauty expos I’ve attended in Seoul. It had a nice selection and mix of products including skincare, makeup/cosmetic, and tools/accessories. I haven’t tried everything yet, so I’ll put them to the test and will be back in the next few weeks (and months!) will full reviews, ingredient run-downs, and whether they make the cut. My Instagram will be updated with #30secondreviews as I try products so be sure to check that out and say hello! Any questions? Let me know below!